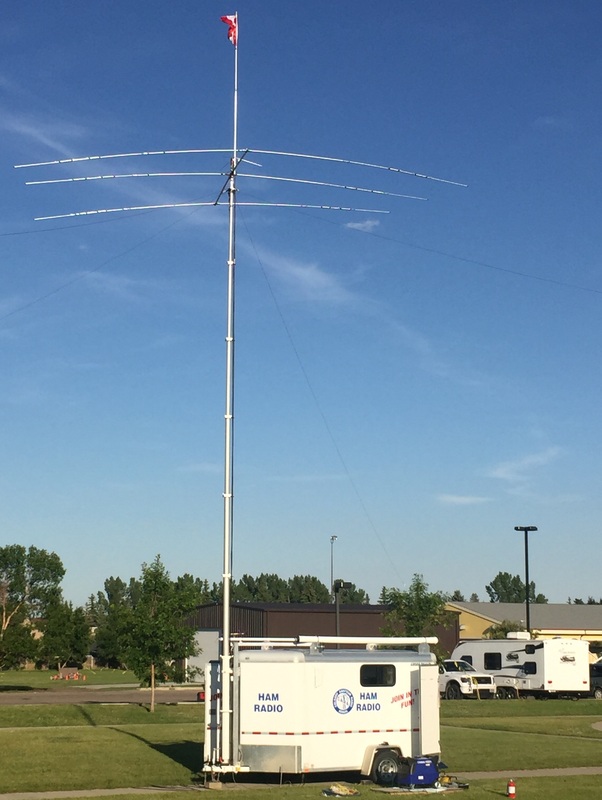 10:30AM - cranking up the tower mast with attached tri-band beam and G5RV antennas. Is this the best ever Field Day site? 24 hour Tim Hortons only 150 ft. away! 7:30PM - Beverage break. Gordon (VE6TI, Jerry (VE6TL), and Peter (VA6LBV) enjoy a cold one outside Station #1. Inside station #1. 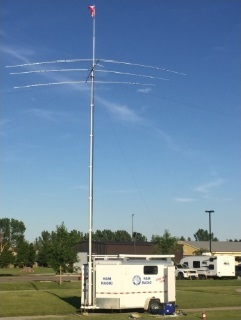 Jerry re-configured this station for CW when the wind forced him out of his tent. CARA's version of a tailgate party. Rob (VE6CCL) and Andrew (VA6AI)working relocated Station #2. This Sunday morning shot shows the addition of a 4th antenna mast at the front of Rob's car. It is supporting a VHF tri-band vertical - 2 metre, 70 cm, & 1.2GHz.